In Live Agent, sometimes we need to pass some values from the page, where Start Chat button is located, to pre-chat form. 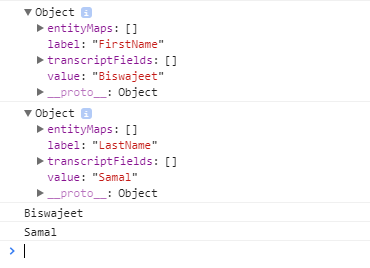 To achieve this, liveagent.addCustomDetail() function can be used to set the values. 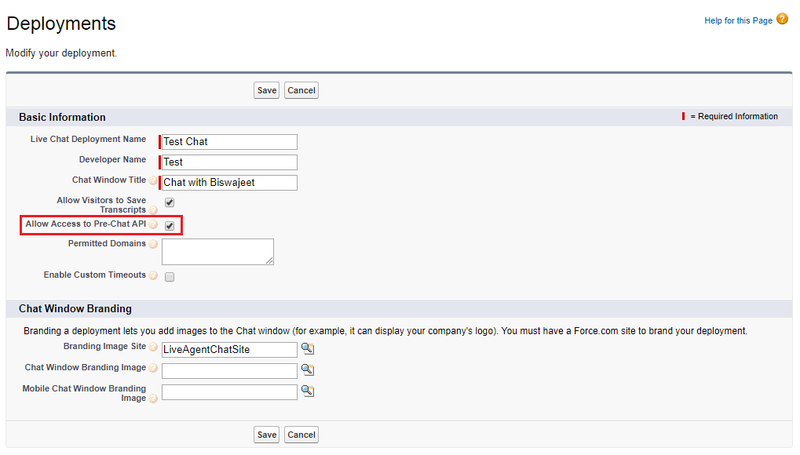 On pre-chat form page, liveagent.details.preChatInit() function can be used to access those details. Here is the sample code to pass values from chat button to pre-chat form. In below example I’m passing “FirstName” and “LastName” values to pre-chat form. To achieve this, we use liveagent.addCustomDetail() function to set the values. On Pre-chat form page, we use prechat.js and liveagent.details.preChatInit() function to access those details. Follow below steps to enable it.